Come spend Valentine’s Day at Old Ox! 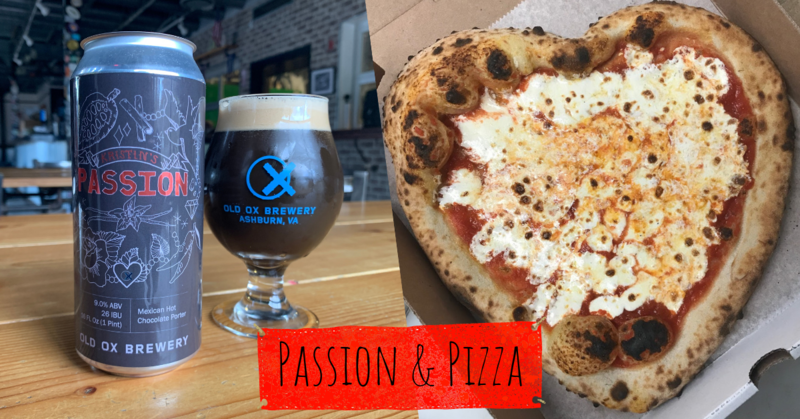 Enjoy a glass of Kristin’s Passion, our Mexican Hot Chocolate Imperial Porter filled with many aphrodisiacs such as coco, vanilla, cinnamon, and chilis, and grab a heart shaped pizza from Killer Tomato Pizza. You’ll even have the chance to shoot Cupid’s arrow for a prize! Come alone, or bring your date, it’ll be a fun night full of Passion and Pizza!